When owners corporations are tired of overcrowding & AirBnB hosts making their life a nightmare, Prox Access Security has the solution. Your residential building access system is currently equipped with security access cards/fobs that can be duplicated? Are you interested in solutions to stop short term letting, overcrowding and airbnb hosts? You are currently facing mails & parcels thieves? 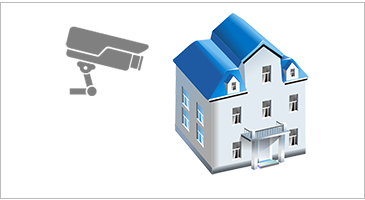 Anti trespasser and motion detection for fire stairs are needed to improve your building security? Need to stop parking tailgating and to detect people laudering or even protect your building assets against thieves? We test access control using RFID to determine whether anyone could access your premises without authorisation. Unique advices and solutions to re-secure your building step by step up to a full control over your building. Do you just need to keep out unknown passers-by? Do you have valuables or sensitive information on site? What would be the impact of a successful attack on your office? Can you mitigate the above threats through other means (cameras, security checkpoints)? Your current card technology, currently employed may be easily duplicated. Prox Access ensure your credentials are unique to your organisation. You wouldn’t buy a brand of padlock that has the same key for all their padlocks… would you? Why chance it with your organisations security? Get Prox Access to test your installation and get the appropriate solution to secure your premise, know you’re secured. Breaking into an office has become as simple as paying for your lunch with a contactless payment card.